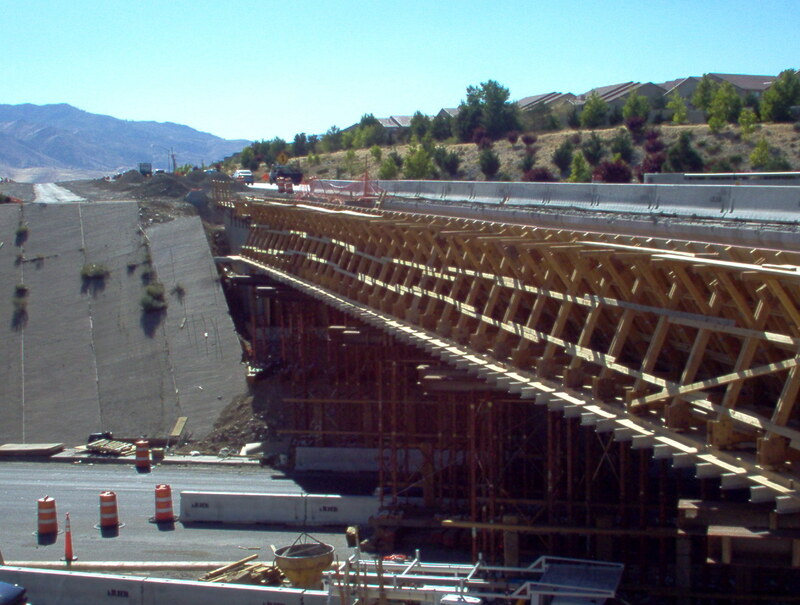 The project is located on I-80 in west Reno, at the west McCarran Interchange (I-1301 east/west), and at the Stoker grade separation (H-1162 east/west); on I-80 from 1.044 kilometers west of Robb Drive in Reno to Keystone Avenue; on I-80 westbound off ramp at West McCarran Boulevard (SR651) in Reno; on I-80 at the Garson Road Interchange (I-770); and at the Garson truck inspection site along I-80, Washoe County, Nevada. This project consists of the replacement of expansion joints with asphaltic plug joints, replacement of relief joints, seal decks and approach slabs. It includes construction of a truck climbing lane westbound and widening of the structures at Stoker Avenue and McCarran Avenue. It also included construction of dual right turn lanes and a deceleration lane, seismic retrofit and bituminous surface removal, signing with flashing lights and extend concrete pad and new concrete bus ramps and construction of chain-up area. Summit Associates provided structural steel inspection and materials testing services to the Nevada Department of Transportation on this $7.3M project. © Copyright 2013 Summit CM, Inc..